Venezuela’s President Nicolas Maduro has announced that three air force generals have been arrested for plotting an uprising against his government. Nicolas Maduro said that the authorities had been tipped off by “young officers”. The three generals, who have not been named, had links with the opposition, said Nicolas Maduro. The arrests are the latest development in nearly two months of political unrest, which have cost the lives of at least 32 people. 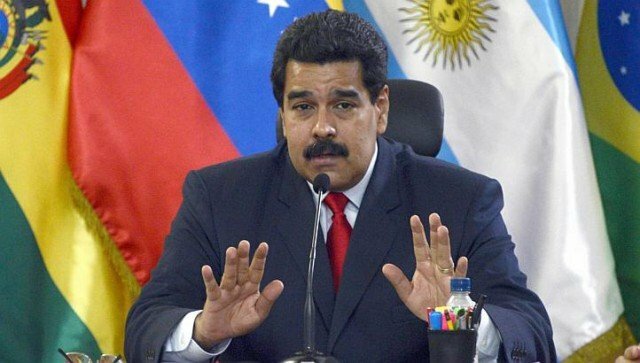 Nicolas Maduro’s comments were made during a meeting with a delegation of foreign ministers of the UNASUR regional bloc, which was sent to Venezuela to assess the political crisis. “The generals who have been detained have direct links with opposition sectors and were saying that this week was going to be decisive,” said Nicolas Maduro. They were planning to create “chaos in the public services, power cuts across Venezuela,” he added. He said the authorities had been alerted by “alarmed younger officers, generals, lieutenant colonels” who had been invited to join the coup. The generals were arrested on Monday night. Nicolas Maduro has previously accused right-wing sectors backed by the US of stirring up trouble as part of a plot to oust him. The opposition has accused the government of heavy-handedness in their response to the street protests, which began in the first week of February.